January this year I posted my 2017 Blogging Goals and given that we’re in August I wanted to do a little update and see how blogging is going so far. Rebranding: I’m no longer “Simply a Mama” as of July 2017 I rebranded to “Mrs Jibril” this wasn’t on my goals list and so far I like the new name. Working with brands: I didn’t think I was recognised in the blogosphere to have the opportunity to work with brands; especially after my move from Kenya to Australia. I was lucky to have been approached by brands for collaborations. If you are a brand interested in collaborations you can reach me here. Consistency: I always post once a week and if I’m motivate you will be surprised with an extra post. I post every Saturday. Self-Hosting: I’m not tech savvy but I managed to successfully not only rebrand but also change and upgrade my wordpress. Collaborations and Guest Posts: Now I have a tab to show all the posts I featured in. Blog Readers and Followers: This has hugely increased and I definitely feel the love and support in the blogging community. I wish I had the exact figure of my blog followers back in January so I can compare. Social Media Followers: I wanted to increase my followers in my main social media platforms Instagram, Facebook Page and Twitter. I wanted around 1000-2000. I’m still far from my target but I’m not discouraged because I want genuine followers who enjoy my content. YouTube: I still haven’t started my channel even though I have video ideas. I need to stop procrastinating. Blog Series: I still haven’t figured a unique series idea. I hope you enjoy reading my posts as much as I enjoy writing them. 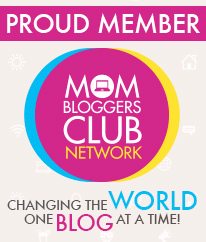 If it’s your first time visiting my blog please make sure to follow me for weekly posts on all things Motherhood and Family related. 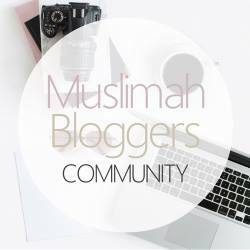 What do you think of my new blog name? Long distance is one of the hardest things a relationship/ marriage can go through, as some of you may know that I’m now in Melbourne, Australia while my husband is still in Nairobi, Kenya. It’s been close to 5 months, which I know, might not seem like such a long time but it feels like 50 years if you ask me. But our relationship is still strong and it’s surviving the test of distance. I know a lot go through something similar so I wanted to share how we are making long distance work in our relationship. This is a no brainer you must trust each other, I personally never doubted my husband’s faithfulness call me old fashioned. Even when people point out that “all men cheat” I honestly don’t believe it. We have a lot together that we won’t risk our relationship by being unfaithful. If you don’t trust him then marriage might not be the right step for you just yet and long distance is not going to work. We talk/ video chat daily if we don’t I feel like my day isn’t complete. Baby E also chats with his dad daily because the last thing I want is to mess their strong bond by our move. Now that I’m working full time my husband will call my mom while I’m at work and he would talk to Baby E. it helps that my mum is also on Facebook. We’re so lucky to have all these little apps in our fingertips to communicate and chat without a large bill. could you imagine long distance relationship back in the 80’s? Our favourite apps are Skype, Facebook messenger, we also use Whatsapp occasionally all these are free apps. I also tag him in posts and share funny videos he does the same as well. Even though we live miles apart all our social media accounts make it very clear that we are in a committed relationship from posting photos of each other to our relationship status. Some people might not feel comfortable posting photos of their partner or family on social media which is understandable but I honestly don’t have a problem with it. Time difference can be such a huge barrier in a long distance relationship because we’re not only living on different sides of the world but you’re also living in different time zones. My advice is adding your partner’s city on the world clock in your phone so you know the time instead of having to always calculate it in your head. Then be mindful of your other half’s schedule so that you don’t call in inappropriate times or in the middle of the night. Sometimes it’s not about talking for hours on end but rather having a quick catch up daily when the time is suitable for both of you. Having a clear vision about your future together is important, it makes it a bit easier because you make plans about life together once long distance is no longer an issue. we sometime talk about future holidays we would like to take and how our future will look like 5 or 10 years from now. Remember it is worth waiting to be reunited with someone you love. Long distance is not a permanent situation. If you follow me on Instagram or Facebook this wouldn’t be a new announcement to you but I know some of my reader might not be up to date with the recent change. Some of you may remember from My 2017 blogging goals That I wanted to have a domain name/self-host for a while now. I’m currently using a paid plan in WordPress. I’m not tech savvy and I didn’t want to risk loosing my old content. 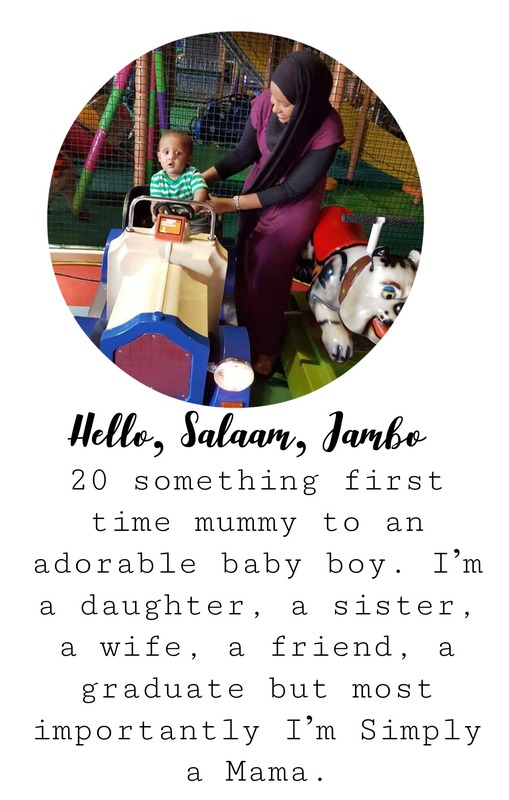 Rebranding can be tricky and sometimes confusing but I want to assure everyone that the content of my blog will remain the same and Motherhood would be at the centre of it all. You should expect weekly posts as usual and I have a lot in store in these coming months so keep your eyes peeled. Thank you to every single person who reads, likes and shares my posts. I really appreciate it. When I was pregnant one thing that I continuously thought about was my snapback body, it is no secret that I gained 25kilos during my pregnancy. I sometimes felt that I need to get back to my pre-baby weight fast seeing all the celebrities and public figures loose their baby weight in a blink of an eye. Almost 2 years later I still haven’t lost all the weight. I started going to the gym last year when I was at my heaviest but I haven’t joined another gym since our big move and now that I started working full time I feel like I don’t have that luxury of spending an hour or two at the gym. I was so excited when I came across a fitness app called Aaptiv. The main focus of the app is that workouts should be fun and time efficient. What attracted me about this app that they don’t only offer the traditional workouts but it also has special workouts for mummies and mummies to be. There are a variety of exercises for mummies-to-be through out their pregnancy right from the first trimester. If you are anything like me when I was pregnant with baby E I was worried about working out while pregnant. Aaptiv’s maternity workouts is by Kira Kohrherr who is a pre/postnatal certified personal trainer with over 15 years experience and if this doesn’t put your heart at ease she is also a first time mummy. If you’re a mummy already and your little one still uses a pram there are stroller workout that will help you tone your body. Aaptiv is user friendly and you have a number of personal trainers to choose from. you can simply click on each trainer to see a little intro about them. You can have the guidance of a personal trainer during your workout in the comfort of your own home. Next time you have a minute to spare download Aaptiv which is available for both iphone and Android. What’s your best tips and tricks to staying fit as a mum? * Disclosure: This is a collaborative post with Aaptiv. I only share and review products I genuinely feel you will love. Environmentally friendly and socially responsible company –None of their products contain leather, feather or fur. Giving back- you’re not only buying a unique gift but also $1 donation is given to a non for profit organisation of your choice. Even Huffington Post thinks Uncommongoods are amazing. I picked a few of my favourite gifts from their website to share with you. I know it is always a struggle finding a great gift for your better half; I usually plan a month in advance. I wish I came across this website last December (both hubby’s birthday and our wedding anniversary are in December). I found the perfect gift idea in less than 10minutes and it is extremely affordable. Some of you may already know my husband wears glasses. The Eye Glasses Holder is such unique gift; I never came across something similar before. This is by far my favourite section because it has so many little gifts for newborns and babies, makes me almost want to have baby number 2 lol. I picked out two things because who can decide on only one thing for their baby. My first pick for Baby E is the Mustachifier because I haven’t weaned him off the pacifier yet. I’ve seen photos of babies with it online and they look adorable. My second pick is Milton the Mealtime Companion, if you are a mother of a fussy eater you will understand how picky little ones get when trying new foods. I love that this little toy helps babies during meal time but you can even use Milton to teach your babies about brushing their teeth. *Disclaimer: this post is sponsored by UncommonGoods; all opinions are my own. I only share products that I think you will love. Hey lovelies, look who’s back! As most of you already know by now baby E and I moved back to Australia. I traveled solo with him and the trip was over 20 hours long. I was terrified; we traveled the same distance before but when he was a baby (he wasn’t even crawling back then). This time around he is a toddler running around and wants to be independent, so all you mums understand why I was so terrified about the long journey. As we settle in our new home I wanted to share my top tips and advice about traveling with a toddler to make it as easy and smooth as possible. Don’t over pack: I know this is the hardest, I over packed and I wish I didn’t because we didn’t end up using most of the things I carried for him. I packed 3 outfits and we used all 3 by the end of the trip. The essentials- passports, tickets, money, my son’s birth certificate (we don’t share the same family name and I heard that for some reason that can create an issue at airports so I carried it just incase but I wasn’t even questioned about our different surnames once) and all-important documents that I didn’t want to risk putting in the luggage. Yellow fever cards- you will be asked upon arrival at the airport if you are arriving from Africa, my son got his yellow fever shot a month before we travelled if not more and I had mine from a few years back. Dummies- we still use pacifiers so I carried more than enough incase he drops them I didn’t want to risk washing them so we ended up using all and losing a few. Toddler formula – Baby E has been drinking fresh milk since he turned one however, a few weeks before our big trip I transitioned him to toddler formula because fresh milk will spoil during the trip if left not refrigerated and we were at the airports for hours. Once we arrived and settled he went back to fresh milk. Snacks – I packed a lot of snacks and he didn’t even eat it. ipad with lots of cartoons to keep bub entertained. Baby carrier – don’t take your buggy as a carry on luggage because it is usually heavy and being all alone it will be hectic trying to carry the buggy, baby and bag out of the plane because sometimes you will have to use stairs. There are strollers available at Dubai International airport that I used while in transit for a few hours. Ask for extra blankets for your baby, I used two blankets for Baby E because it gets a little cold on the plane. If your travelling alone with your baby best of luck, it looks scarier than it really is. Trust me I’m a living proof that a mummy can travel across the world with a toddler alone. Have you ever traveled alone with you baby/ babies before?